After Approval customer will need to return all merchandise in new, unused condition and packing materials if available. To return item customer will need to pay return shipping. Packages refused or return to sender will not be delivered back and no credit/refund will be issued. Read entire information before giving us a call. How to order is at of bottom page. 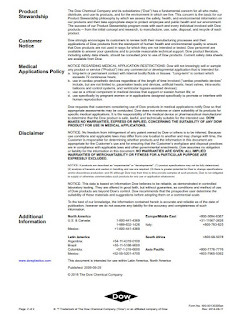 You must verify requirements with health department where inspection will be made BEFORE PURCHASING. 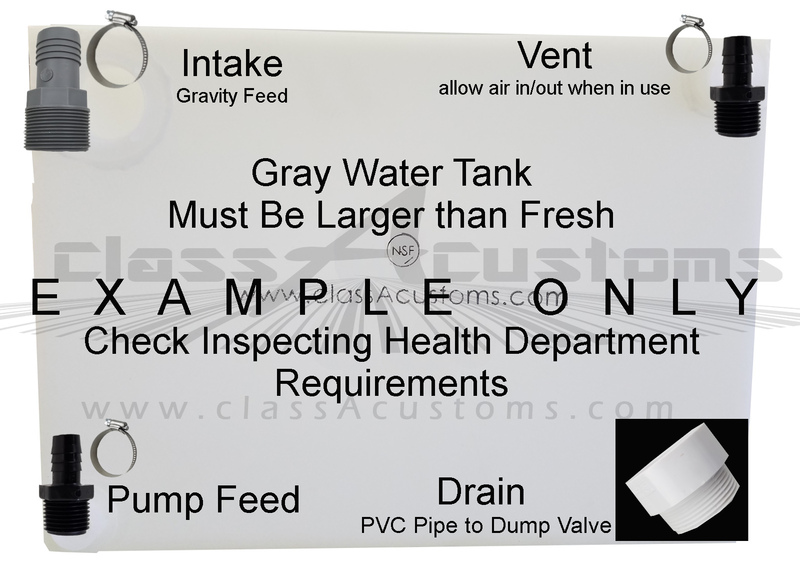 Verify Requirements on Fresh Water Tank, Gray Water Tank, fittings, drainage, and mounting placement. 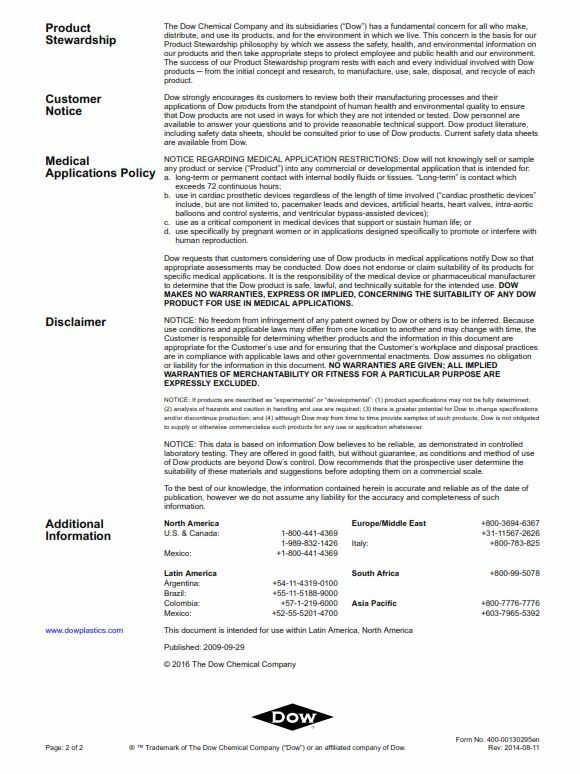 Forward the pages listed below to your local health department before purchasing to be sure these tanks will pass your local inspection, this is your responsibility to complete this prior to purchasing. Does your local H.D. 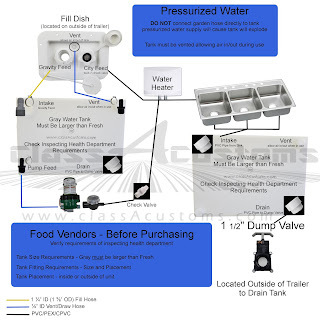 require a minimum Fresh water tank size? 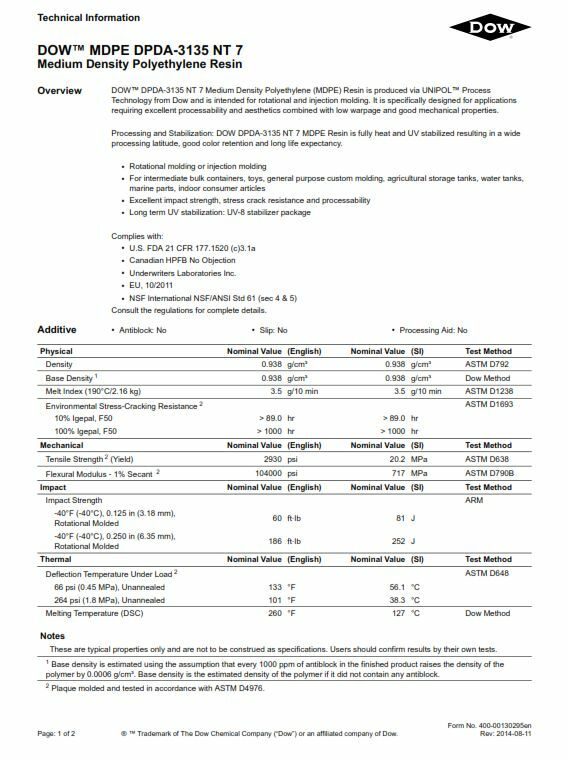 What percent or gallon size larger does Gray tank need to be than Fresh tank? I have only so much room how many gallons can I get in that space? 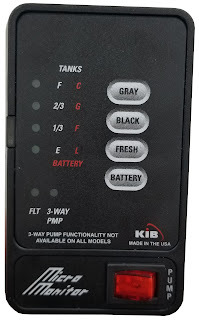 Please look at the chart of tanks we carry to see what tank you are needing. 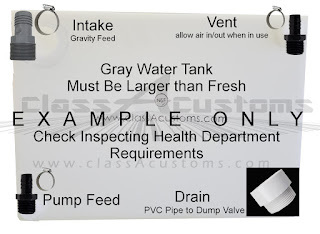 We do not recommend sizes, You need to verify tank you are needing. How are the water tanks measured? 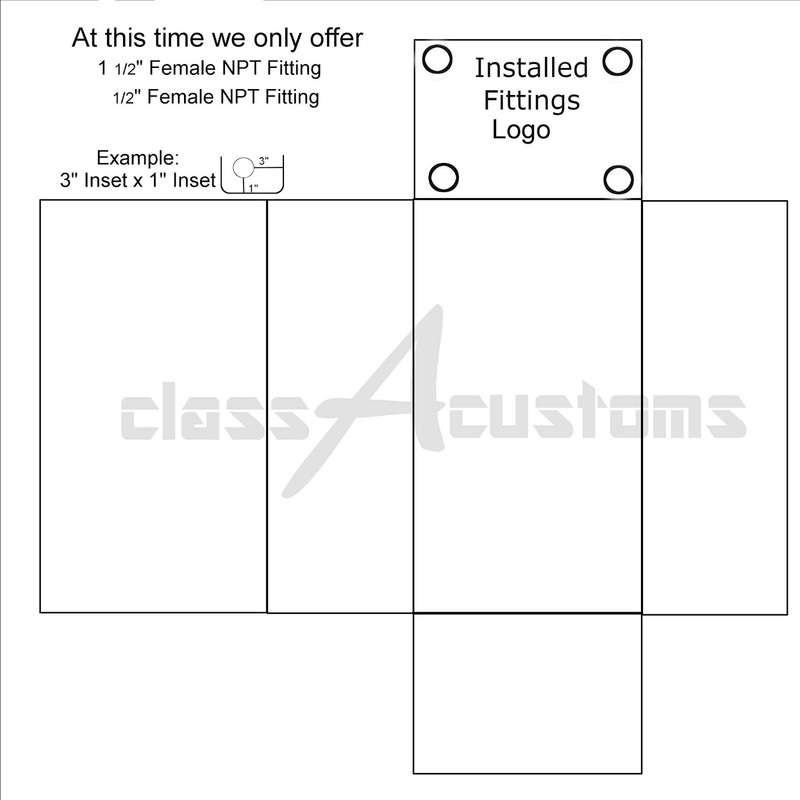 Where are the fittings located? 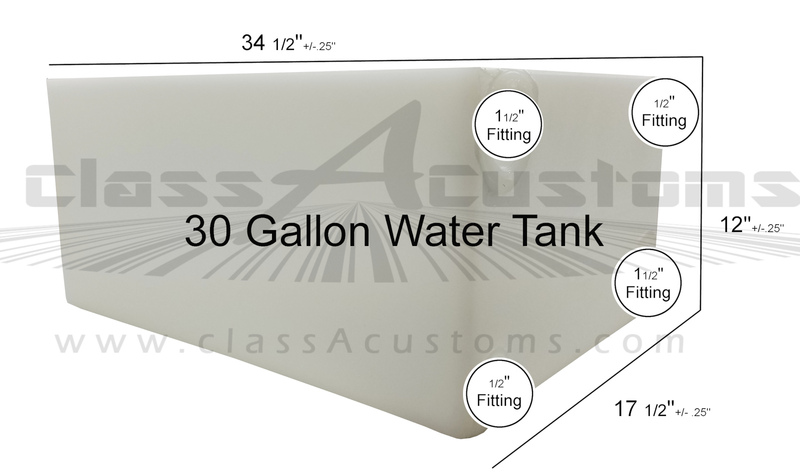 All tanks come with four fittings built into the tank. 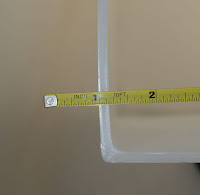 All fittings are located on one end of the tank, look at the photos for placement of fittings. 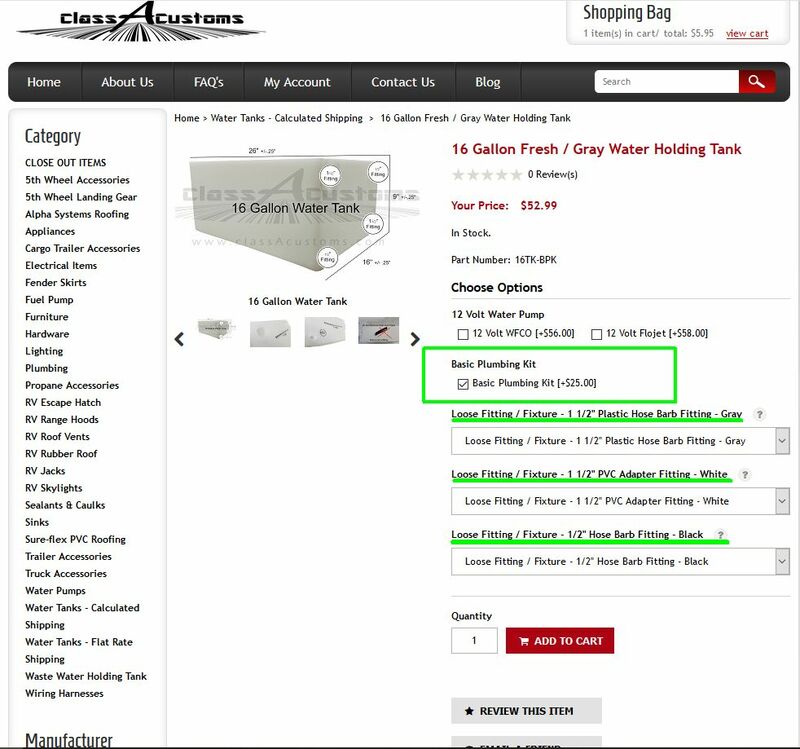 Photo is same tank but color altered to see fittings clearly. Each tank will come with at least one vent hole made during the manufacturing process, a permanently mounted patch is placed over this hole this is not a fitting and does not unscrew. 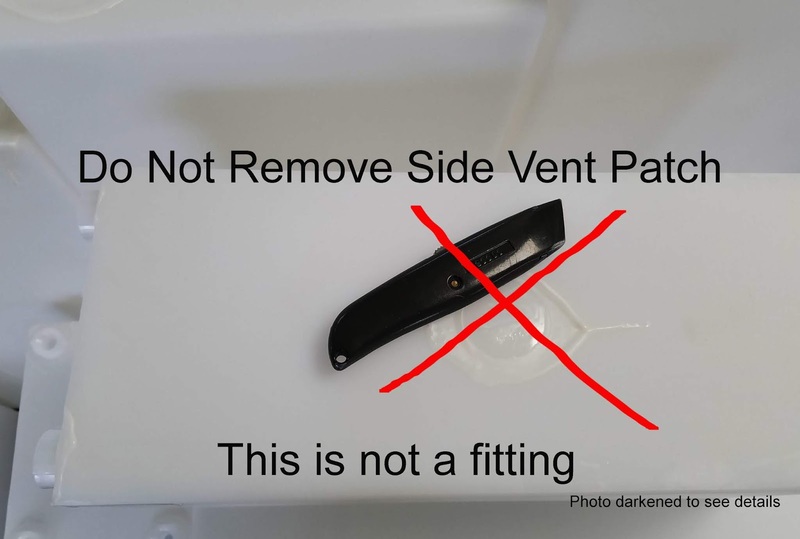 Can the fittings be moved? 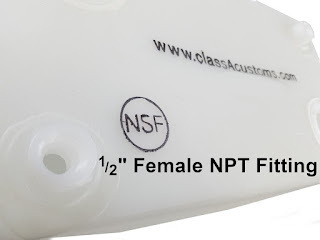 Additional fittings and alteration of fittings is $10.00 per fitting. Can I cut a hole in the tank and glue another fitting in? 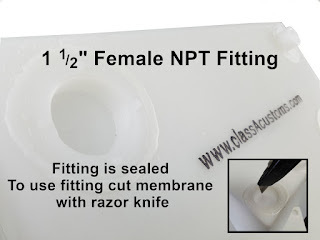 Fitting are permanently mounted into the tank, no glues or other materials are used. After the tank is formed the fitting is placed in a tool that spins the fitting and causes both the tank and the fitting to heat, melting the plastic. Cutting the water tank voids any warranty. 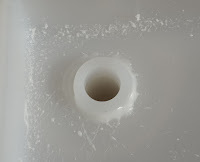 Many people think that the fittings are glued in due to the residue left by putting the fittings in place, this is part of the material the tanks are made from and will flake off over time. 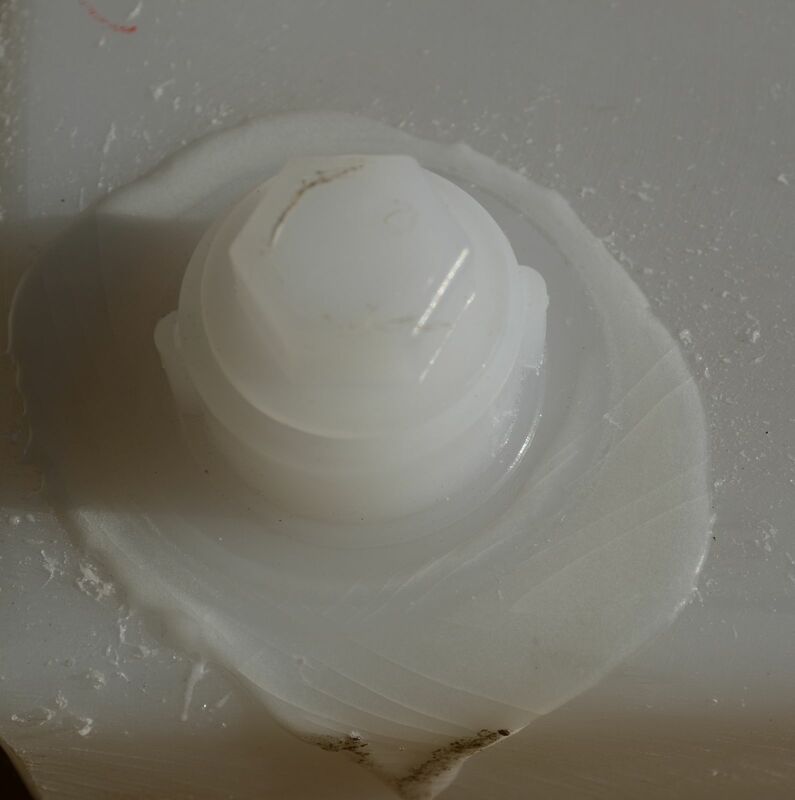 Notice the cracks in the material, this is just a surface cracking and in no way effects the tank or fitting. These tanks look thin are you sure they are safe? 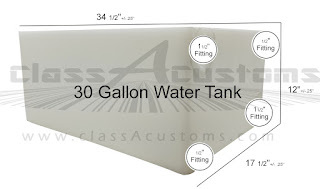 All tanks will vary on thickness but on average they are .219 or 7/32" thick. The tanks will need to be braced and sit on a flat surface. Tanks should not have anything set on top of them. 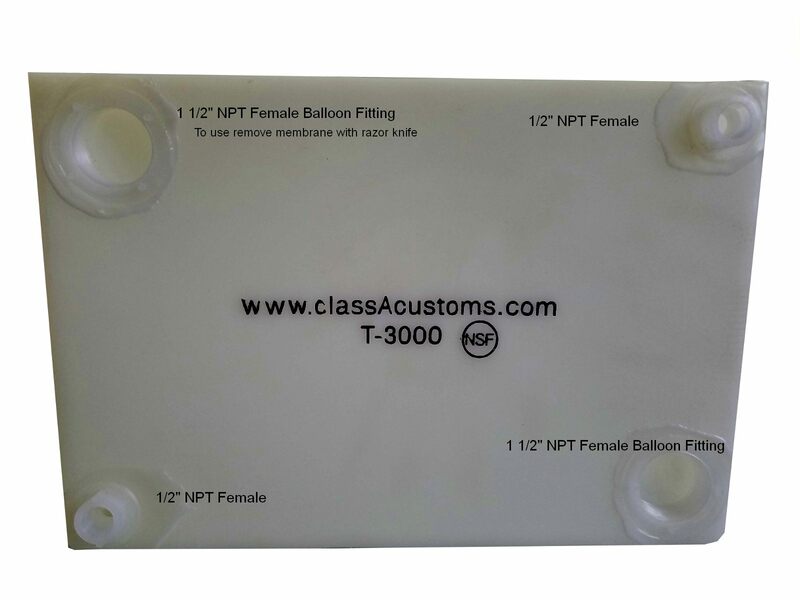 All water tanks we carry must be vented allowing air to move in and out when filling and emptying the tank. 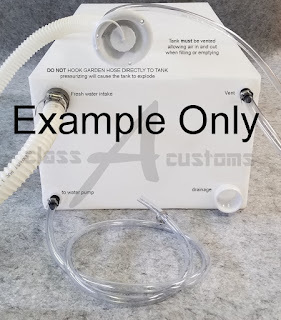 You should NOT fill the tank from a direct city line (garden hose), this is not a safe option and could explode the tank causing serious damage. Can I stack the water tanks on top of each other? No, you cannot place additional weight on the tanks. You will need to build a weight bearing shelf between the water tanks. 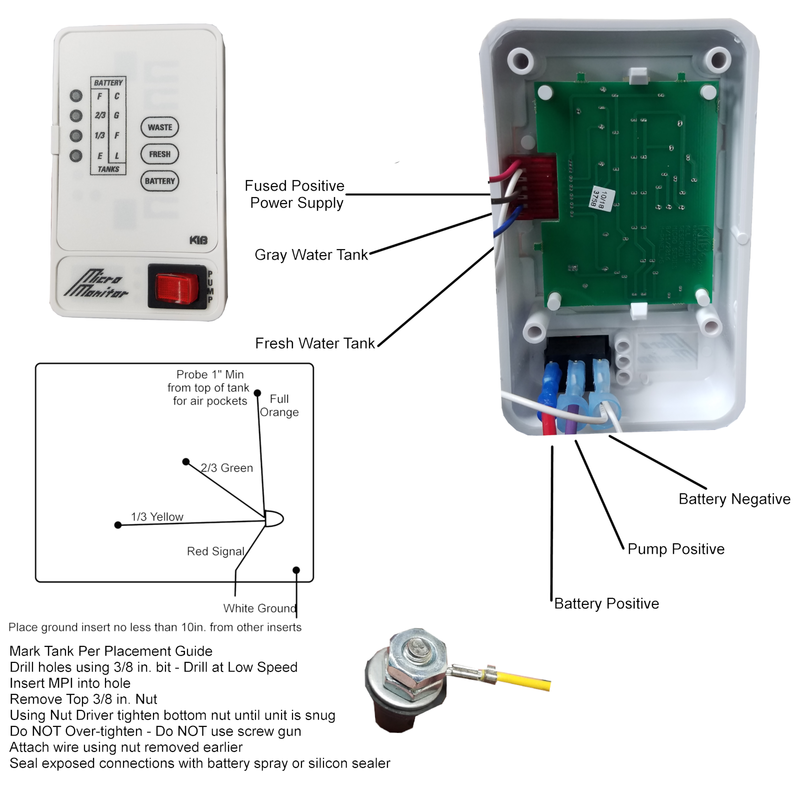 Do I need to brace the water tank? 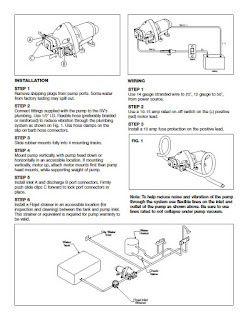 Yes, you will want to brace the water tank and have the tank sit on a level surface. 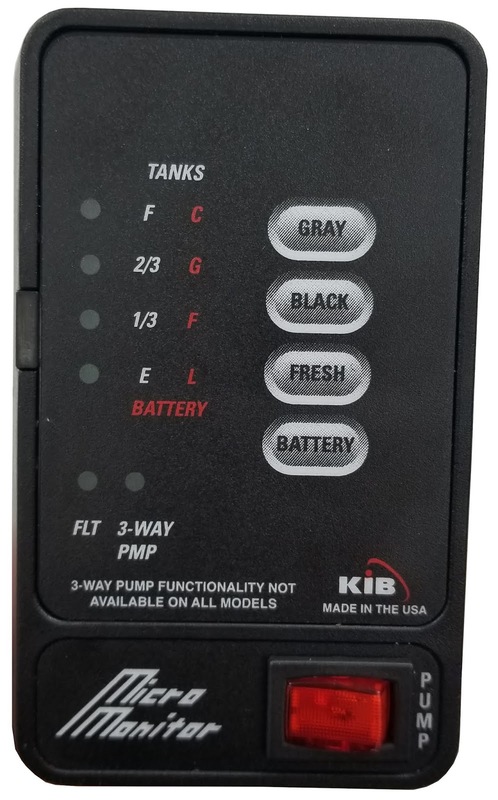 Can I set the tank up on end? Yes, you will need to brace the tank and run a food grade hose down inside to reach the bottom of the tank. Can I mount the tank under the trailer on the outside? 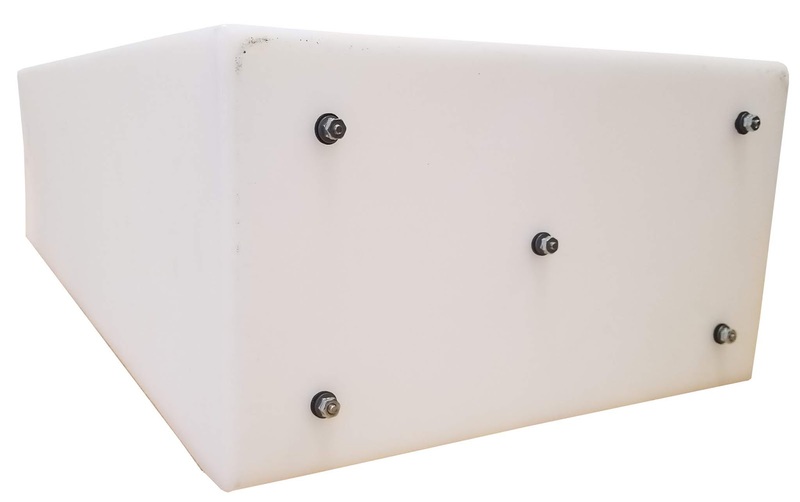 Yes, we recommend having the tank sit on a level surface such as plywood or sheet metal then bracing it with bars or straps, it is helpful to fully enclose the tank to prevent damage from rocks and debris during travel. Be sure you check clearance to avoid having the tank removed on a speed bump or curb. 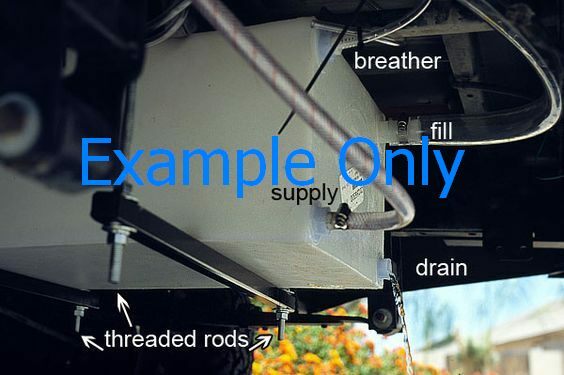 Some states require your gray water tank to be placed outside of your trailer in the event of an overflow. Some states do not allow your tank to be outside of the unit. 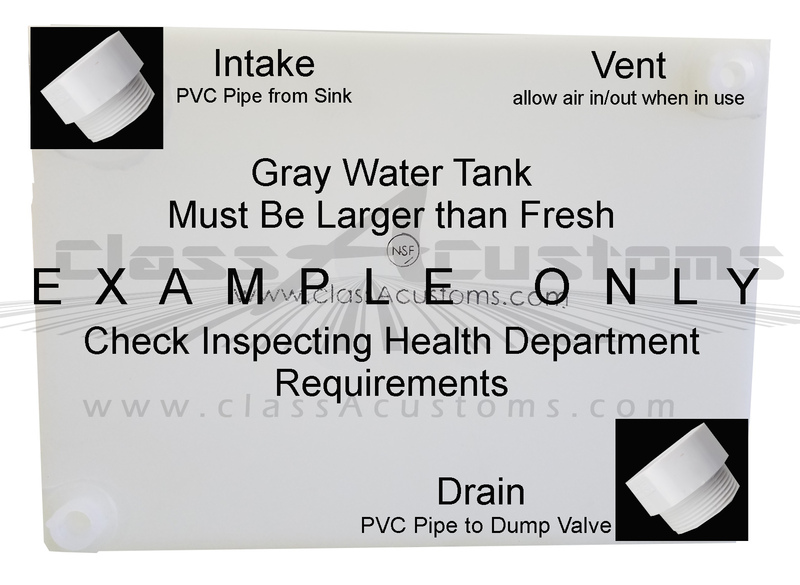 You must verify requirements with health department where inspection will be made. It is recommend putting the tanks on a level surface, such as plywood, to prevent damage to tank. WARNING You can not drain waste/gray water onto the ground, be sure to dispose of waste/gray water properly. Can I put the water tank on the roof? We do not recommend placing a water tank on the roof unless you have reinforced the roof. Water weighs around 8.3 pounds per gallon so a 40 Gallon water tank would weight around 332 pounds. Can I put the water tank outside in the sun? Each water tank is made from Medium Density Polyethlene (MDPE) Resin with a UV-8 stabilization, this is listed as long-term stabilization. 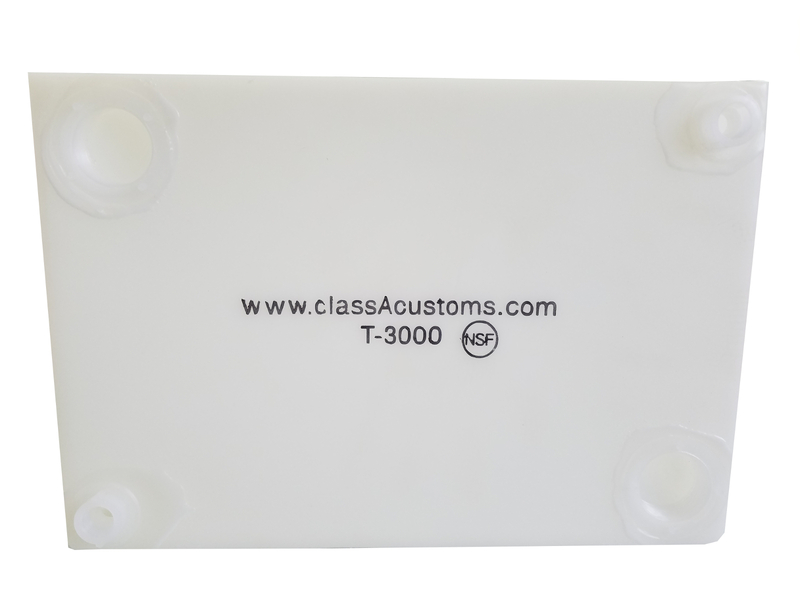 We recommend enclosing your tank to get the longest use. All water tanks we carry must be vented allowing air to move in and out when filling and emptying the tank. 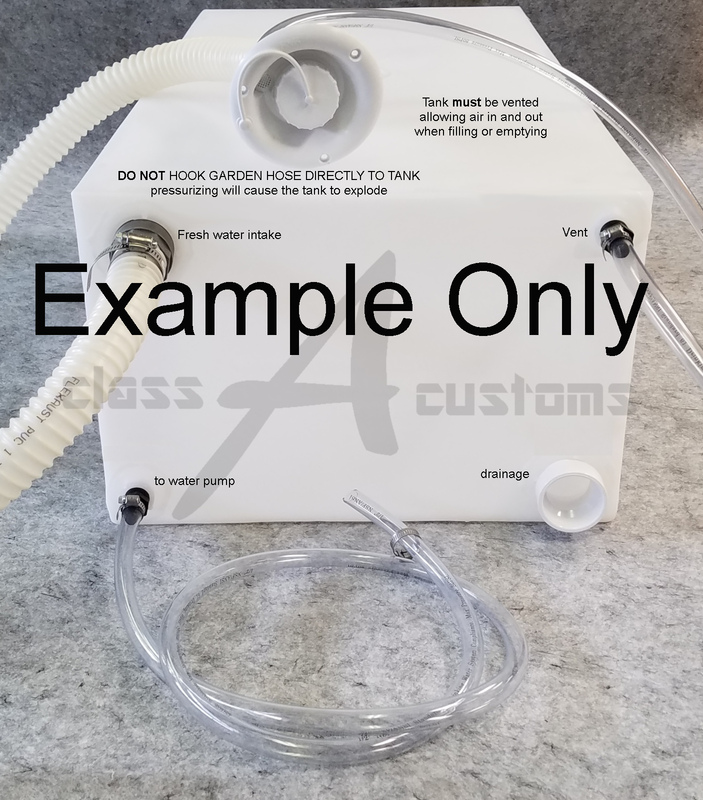 You should NOT fill the tank from a direct city line (garden hose), this is not a safe option and could explode the tank causing serious damage. When I get the tank what should I do first? How do you vent the tank? 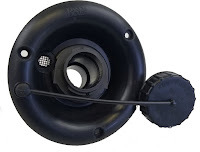 You will need to leave one fitting free to allow air to go out of the tank when being filled with water and air to go into the tank when being emptied of water. The easiest method is to use an outside fill dish. 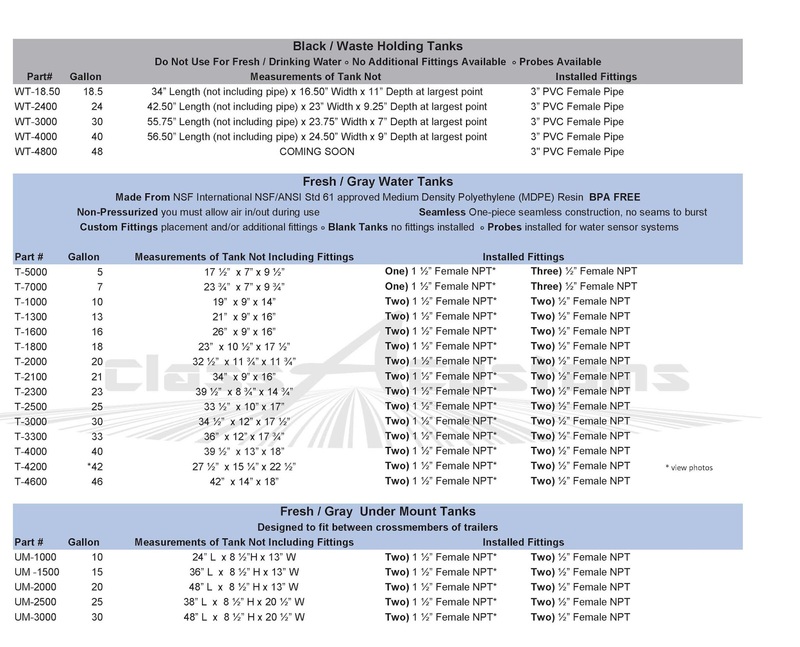 Pipe sizes do refer to physical dimensions, but the plumbing industry standard for the sizes of pipe is not always as straight-forward as measuring the pipe. 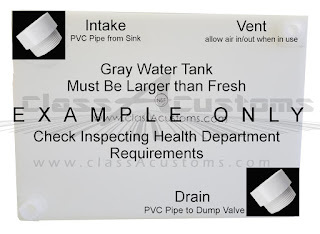 Measuring the pipe will oftentimes mislead you into choosing the wrong pipe, so do take care. 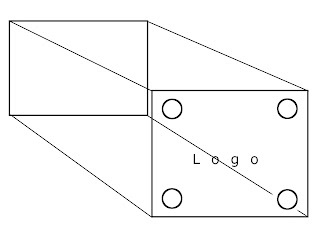 The "pipe thread size" as shown in column 3 of the table below is measured and based on the inside of the pipe. 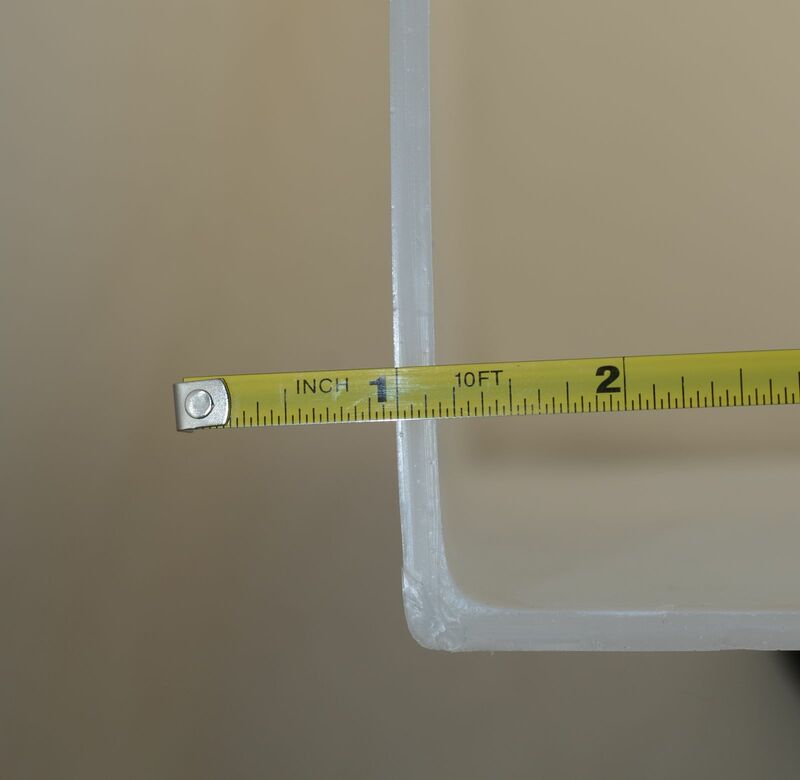 But, to actually determine the size of a pipe, the outside diameter of each pipe or fitting must be measured and compared to the table for size identification. 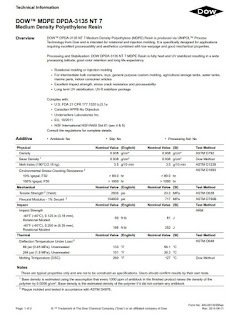 For example, a 3/4" NPT pipe thread has an outside diameter of 1.050 inches. 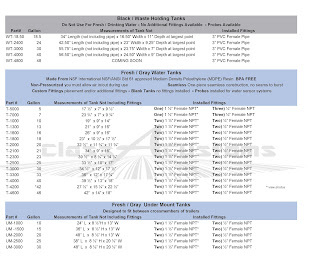 Each thread size has a defined number of threads per inch (TPI). 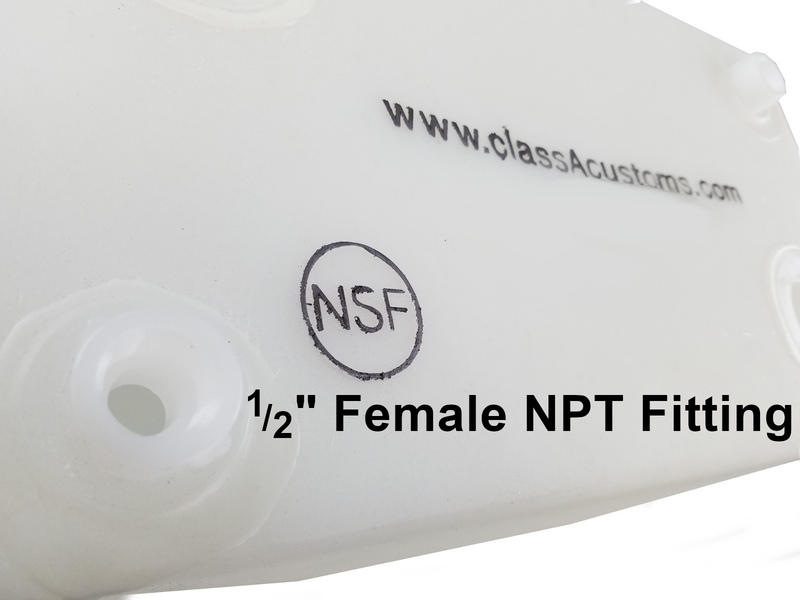 The 3/4" NPT pipe thread has 14 threads per inch. 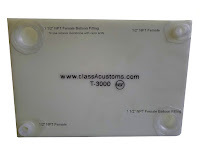 Both the TPI (threads per inch) and OD (outside diameter) of the thread are required for positive identification of thread size because several sizes have the same TPI. 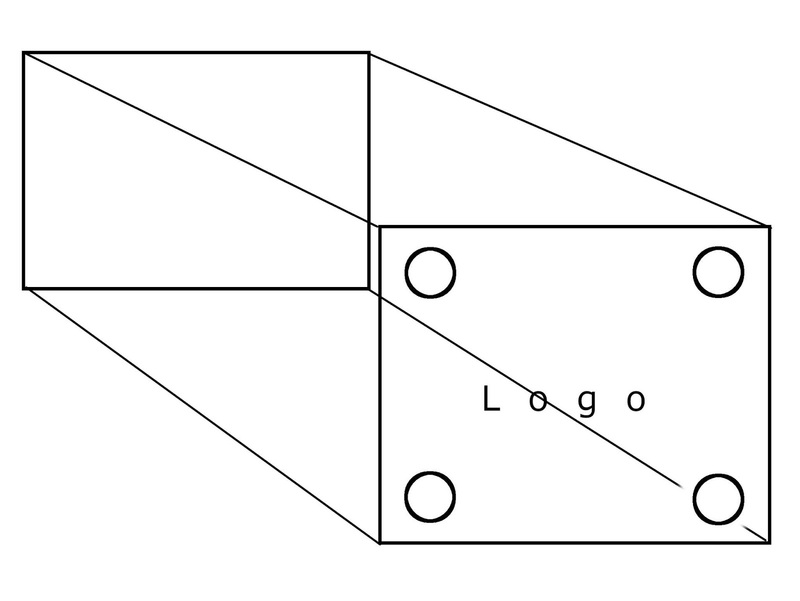 Male threads: Measure the outside diameter of the large portion of the thread at "A"; Find figure nearest this dimension in column 1 or 2 of chart. The dimension in column 3 will be your nominal pipe thread size. 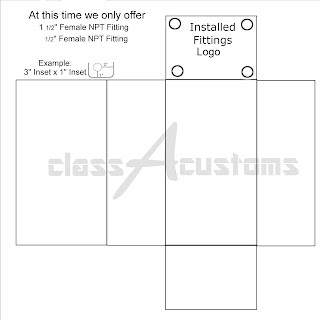 Female Threads: Measure top diameter of thread at "B"; Find figure nearest this dimension in column 1 or 2 of chart. The dimension in column 3 will be your nominal pipe thread size. We have fill dishes available in white and black. 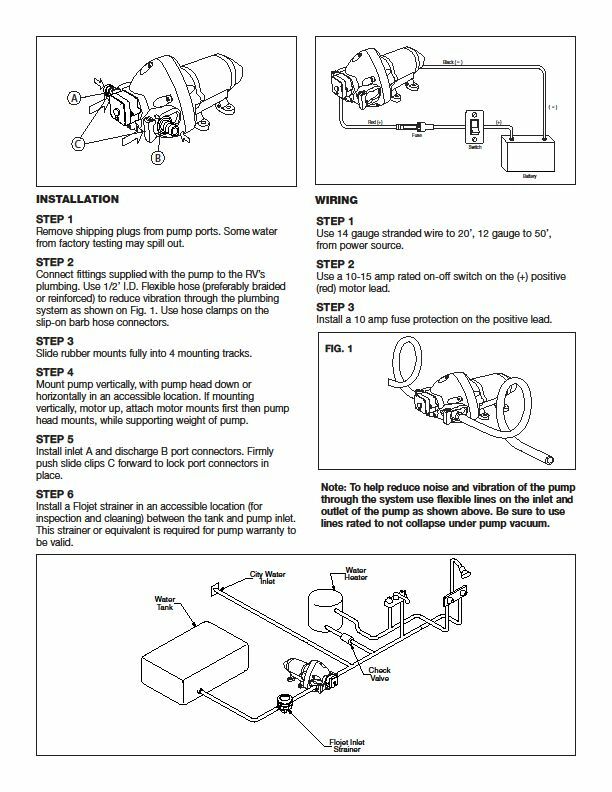 Is there a requirement on the type of fittings, hoses or pipes you must use? 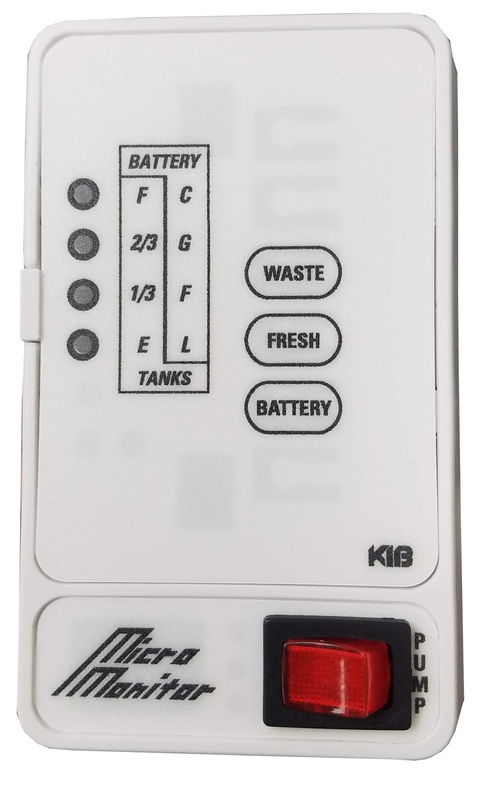 Because you only need 4 probes to run the panel the installed 5 probes allow you to rotate the tank on any side and be able to use the tank. *You can not stand the tank on end and use the monitor panel. 1. 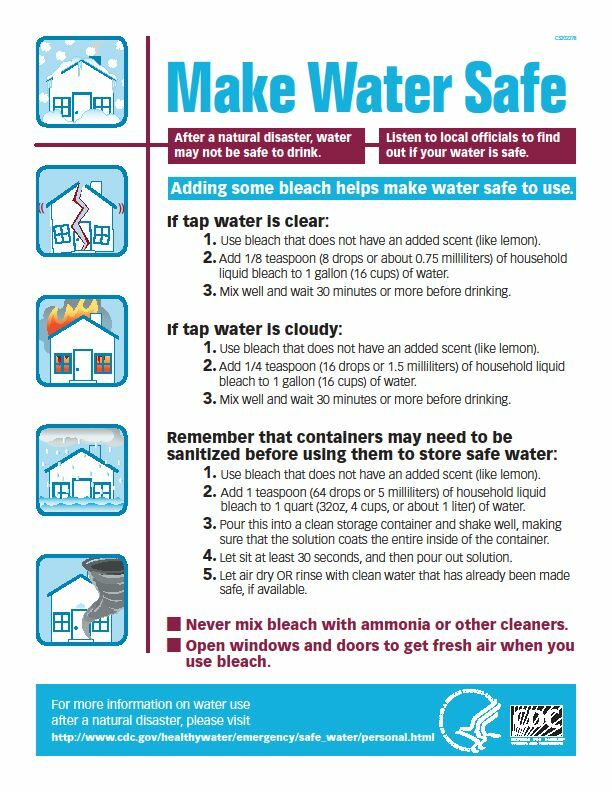 Prepare a chlorine solution using one gallon of water and a ¼ cup of household bleach (5% sodium hypochlorite solution) *DO NOT USE FRESH SCENT OR ANY SCENT ENHANCED BLEACH*. With tank empty, pour chlorine solution into tank. 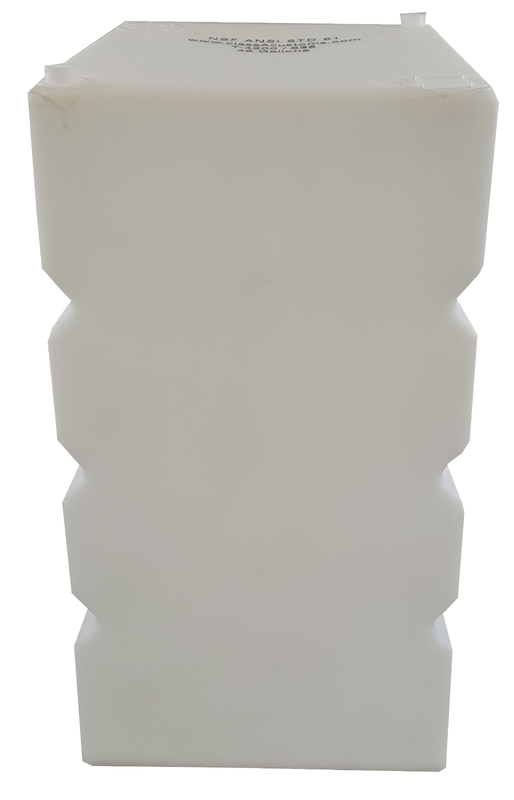 Use one gallon of solution for each 15 gallons of tank capacity. 2. Complete filling of tank with fresh water. 4. Drain and flush with potable fresh water. 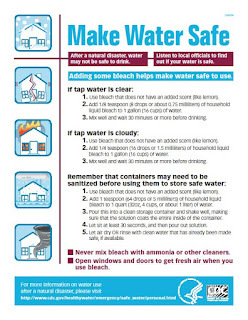 Any residual chlorine odor will dissipate naturally. Can I open a concession trailer or food truck in my local area, some areas limit the amount of vendors they will approve. What is the easiest way to order? You will pay actual shipping rates on service you select. 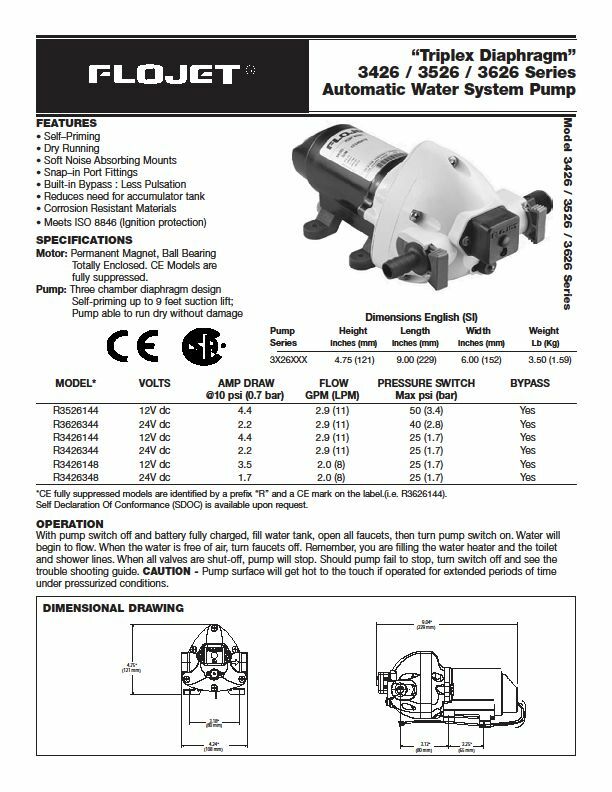 These pumps are for fresh water not pond, lake or sea water. 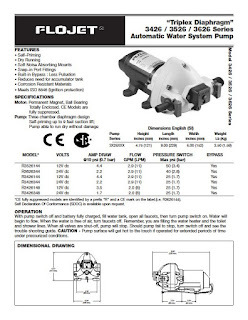 Pump can be mounted horizontally or vertically (mount pump head down). Do NOT over-tighten screws. 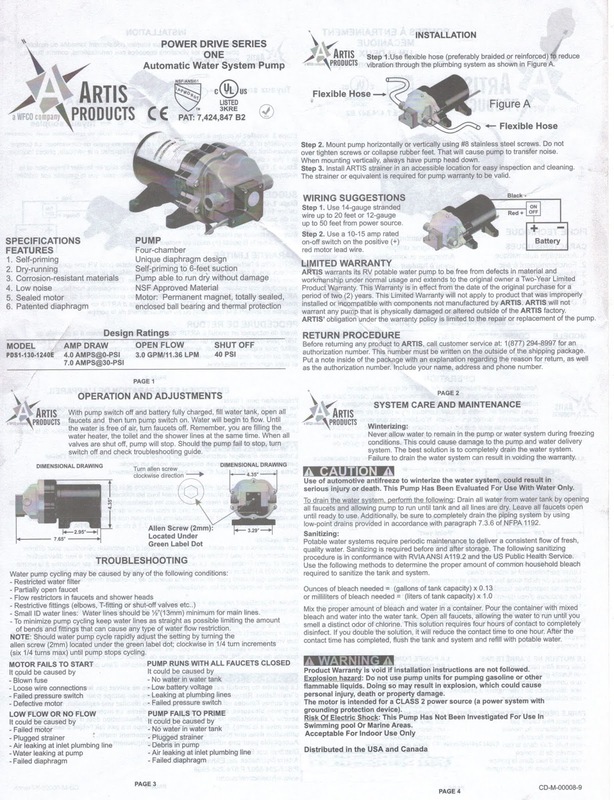 Pump should be on a dedicated (individual) circuit protected by the specified fuse on indicated on the motor label. 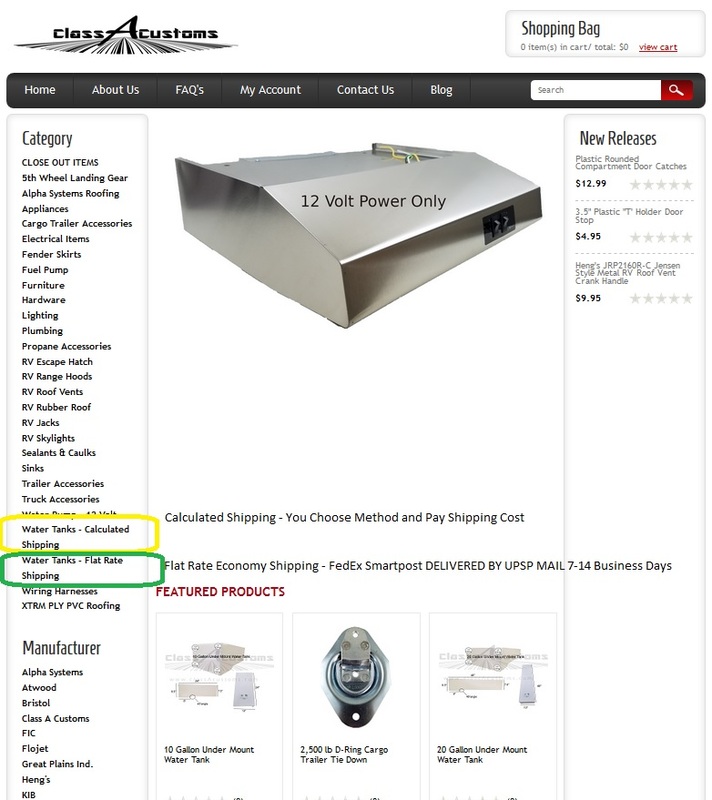 Use 14-gauage standard wire up-to 20 feet or 12-gauge up to 50 feet from power source. Use a 10-15 amp rated on/off switch on the positive red motor lead wire. 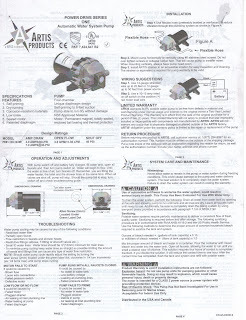 Motor: Permanent Magnet, totally sealed, enclosed ball bearing and thermal protection. 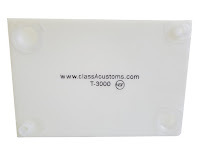 Totally Enclosed CE Models are fully suppressed.